The various student organizations existing at Lycoming College provide numerous opportunities for involvement and leadership. Students are expected to become contributors to campus life by actively involving themselves in student government, service and social organizations, academic clubs, and club sports. The Office of Fraternity and Sorority Life and Involvement staff advise student leaders and organizations in the development and promotion of student activities. The Director of Fraternity and Sorority Life and Involvement, Wertz Student Center, ext. 4118, is available to provide further information. Fraternities and sororities are an important part of the institution's commitment to student development. The goals of all four men's national fraternities (Lambda Chi Alpha, Lambda Sigma Upsilon, Inc., Phi Kappa Psi, and Tau Kappa Epsilon), and six women's sororities (Alpha Rho Omega, Alpha Sigma Tau, Alpha Xi Delta, Beta Phi Gamma, Gamma Delta Sigma and Mu Sigma Upsilon, Inc.), are to promote academics, fellowship, leadership development, group responsibility, and service to both the community and the campus. Involvement in fraternity and sorority life is open to all students who meet the minimum GPA requirements, and who have been enrolled for one full semester. Fraternities and sororities view recruitment as a year-long process. Formal recruitment periods are held each September and January. During the remainder of the year, Continuous Open Bidding (COB) is in effect. In COB, a fraternities or sorority may officially extend an invitation for membership to interested individuals. For more information on how to join a fraternity or sorority, please contact the Office of Student Involvement. The Panhellenic Council is the women's governing body, consisting of women from all chapters, who govern the women's sorority system through policy and resolutions that affect sorority women. The Interfraternity Council (IFC) is the men's governing body, consisting of men from all chapters, who govern the men's fraternity system through policies and resolutions that affect fraternity men. A group of students who wish to inquire about the possibility for forming a new fraternity or sorority at Lycoming College must register their intention with the Director of Student Involvement as soon as the group is formed. This group is called a fraternity or sorority interest group. The Director will outline the formal policy for the Formation of Fraternal Organizations with members of the interest group. and, if applicable, documentation of support from the potential fraternal organization's national office and local alumni for a colonization effort, and for their participation in the full development of the new fraternal organization. Once this statement is received, the Director will convene the Fraternal Expansion Committee to consider the question of whether the establishment of a new fraternal organization at Lycoming College is presently appropriate. If the Committee rules against expansion, the interest group must cease to operate. If the Committee rules in favor of expansion, the Director will meet with representatives of the interest group to explain the formal application process. The full Policy for the Formation of Fraternal Organizations can be found on the Office of Student Activities and Involvement webpage. To be recognized by the College, a new campus organization must route its request through the Office of Fraternity and Sorority Life and Involvement to the Student Senate of Lycoming College (SSLC). The request must be accompanied by a copy of the proposed organization's Constitution and Bylaws, the name of its advisor, who must be an employee of the College, and a list of at least ten (10) members and executive officers. In each case, SSLC must judge that such recognition would promote the mission and principles of the College. After reviewing a proposed request, the Director of Fraternity and Sorority Life and Involvement will forward the request to the Student Senate who may approve the organization for recognition. Recognition enables an organization to use College facilities and receive College funds. All social functions and other activities sponsored by an organization that are held on campus must be registered with the Office of Fraternity and Sorority Life and Involvement no later than seven (7) working days prior to the event. The officers of the organization and security personnel are responsible for the enforcement of College policies at any registered on-campus social event. The College makes no effort to supervise or control activities held off campus. Organizations that hold such functions do so at their own risk. Student groups that sponsor activities off-campus are individually and collectively liable for damages that may result from destruction of property or injury of persons. An officially recognized student organization may seek approval for an off-campus event (e.g., ski trip, backpacking, canoeing, etc.) by complying with requirements that have been established by the College to provide for adequate supervision. When such an event meets minimum requirements for official sponsorship, the College's liability insurance may be extended to provide the group with protection. The requirements for official recognition of off-campus events include approval of location, mode of transportation, and supervision by faculty or staff members. In addition, alcoholic beverages may not be served, provided, or in the possession of those in attendance at the event. Violation of any of the requirements established for each event will result in the nullification of liability insurance coverage. College facilities are available for use by faculty and students, who are required to make reservations at the Office of Student Involvement, 3rd floor, Wertz Student Center. Space for use by recognized student organizations and faculty who are scheduling space for activities associated with their teaching responsibilities or departmental programs is provided free of charge. Individual groups or departments scheduling space must assume responsibility for damage or extra cleaning necessitated by misuse of the space. Non-recognized or unchartered organizations and off-campus groups are charged a rental fee for the use of campus space. All space for meetings and other activities must be scheduled through the Office of Student Involvement. Any campus group desiring to sponsor any fund-raising activity or solicitation of funds on or off campus must secure approval of the plans and projects from the Office of the Vice President for Student Life and Dean of Students, Long Hall, Room 102. The Sales, Fundraising, and Solicitation Policy, in the Policies section of the Student Handbook, sets forth the guidelines for solicitations. Off-campus fundraising must also be approved by the College Advancement Office. Organizations or individuals may sell items that do not compete with similar items sold in the Campus Store. Distinctive clothing items that are printed for single purpose events or that bear an organization's name may be sold on the campus, in designated areas, by its representatives provided a concession authorized by the College has been issued to that organization. Soliciting for sales or services is not permitted on campus by non-students, except for salespersons who have been invited by fraternities, sororities, or other student organizations to sell items identified with their own names or emblems to their own members. The presence of any other salespersons or solicitors should be reported to an RA, Security Officer, or the Residential Life Office. Any campus group desiring to sponsor any fund-raising activity on or off campus must secure approval of the plans and projects from the Office of the Vice President for Student Life and Dean of Students, Long Hall, Room 102. The Sales, Fundraising, and Solicitation Policy in the Policies section of the Student Handbook sets forth the guidelines for fundraising activities. Off-campus fundraising activities must also be approved by the College Advancement Office. Individual students and student organizations must register with the Vice President for Student Life and Dean of Students to conduct sales or solicitations on campus. Only chartered student organizations and recognized student publications may use the name and seal of Lycoming College. 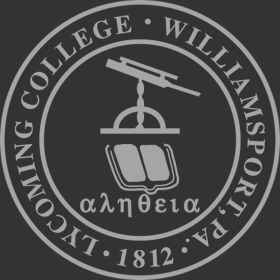 No student may use the name or seal of Lycoming, nor may he/she imply a connection with the College in relationship to any advertising, medium, promotional project, unapproved social event, unchartered organization, or unrecognized publication without the permission of the College. Student organizations are required to deposit all of their funds with the Central Student Funds Account. An organization must have an account in the Central Student Fund to receive a Student Senate appropriation. The central treasury is a service provided by the Office of the Vice President for Student Life and Dean of Students for the convenience of student organizations. No organization loses control over its own funds when they are deposited in the Central Student Funds Account, which is audited annually. The student accountant pays all bills of groups with accounts on vouchers submitted by the organization and provides monthly statements of account to all organizations. The student accountant can be reached through the Office of the Vice President for Student Life and Dean of Students. Student organizations are encouraged to seek the assistance of the Office of Student Involvement with programming efforts. Authorization from the Office of Student Involvement is necessary for special services, labor, and equipment from the Office of Buildings and Grounds. The membership of the Interfaith Council at Lycoming College will consist of the Campus Minister and the president of each faith based group that is recognized by the Student Senate. The Council will meet to share happenings of the individual organizations. Collaboration among the groups is expected. While seeking to foster the spiritual growth of students, and encouraging community service, the council will endorse the education of the members (speakers, etc.) As a resource, the council will remind clubs to be faithful to their respective constitutions. There are approximately sixty (60) student clubs and organizations on campus. For further information, contact the Office of Fraternity and Sorority Life and Involvement at ext. 4118. Students who elect to join a student organization are considered to share mutual interests and purposes. It is expected, therefore, that such organizations assume a standard of collective responsibility consistent with the educational mission of the College. All recognized student organizations have a responsibility to ensure that individual members and group members reflect favorably upon their organization.